Expires in 1mo . Last validated 1mo ago . Used 6 times. 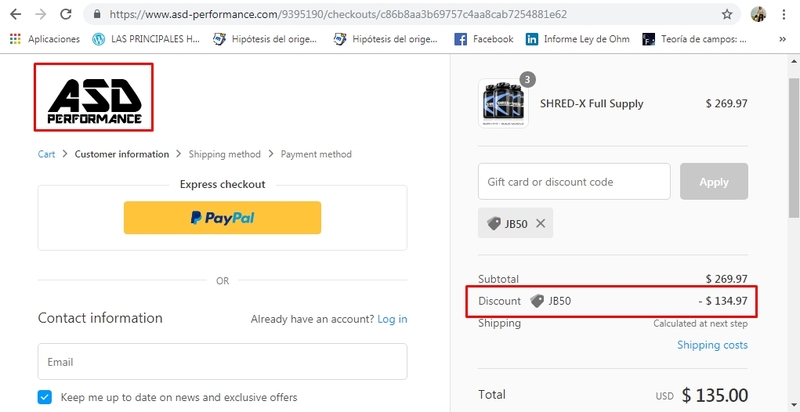 Cristofer Ramirez I have tested this promo code and it works, apply it during the checkout process to get the discount. Yisus This coupon is valid and working as described. Select your product, go to the shopping cart, enter the promotional code and Get 50% Off Your Order at ASD Performance. 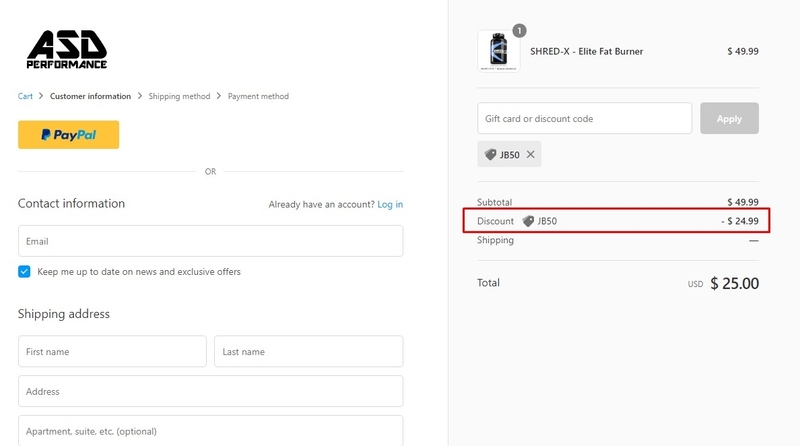 Daniel This code is working, all you need to do is copy and paste the code <JB50> at checkout to get 50% off your order at ASD Performance. German This deal works as described. Go to the web site, add your item to cart, proceed to checkout, enter promo code <JB50> and get 50% off your order at ASD Performance. German This deal was verified and it is working as described. Select the items and enter the promo code <JB50> at checkout to get 50% off your order at ASD Performance.